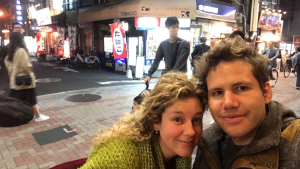 Nanolive visits the land of the rising sun: Japan! 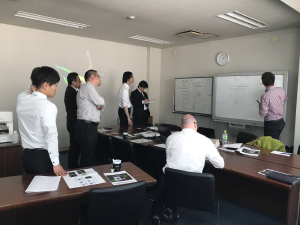 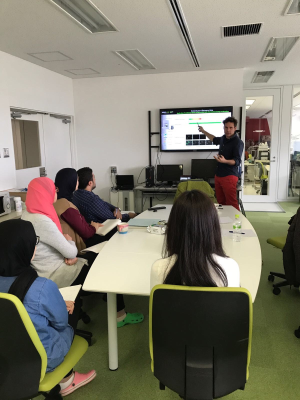 Japan, well known for their inventions and interest in revolutionary technologies, was one of the early adapters of the 3D Cell Explorer from Nanolive. 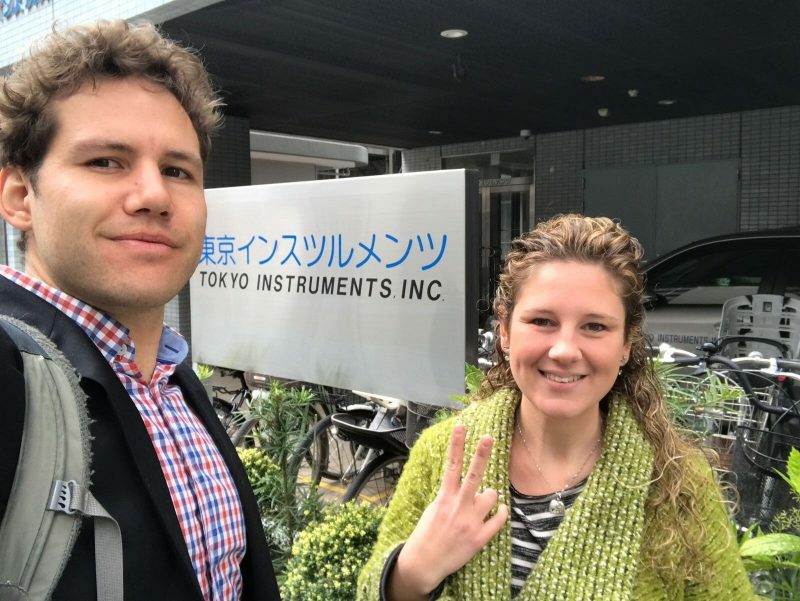 Time to visit customers and our partner Tokyo Instruments to see the 3D live cell imaging tool in action and collect some valuable feedback! 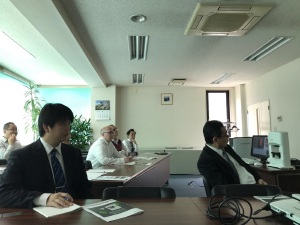 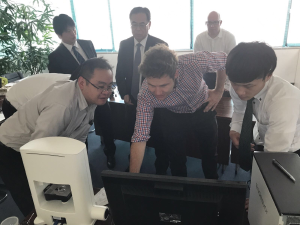 Last week, Yann and Lisa met our customer Riken, a large research institute in Osaka, who uses the 3D Cell Explorer for single cell analysis. 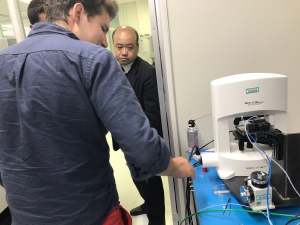 They attached a micro-manipulator directly to the microscope. 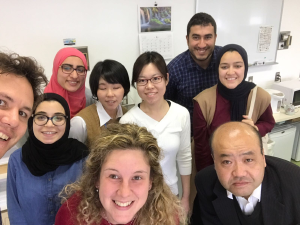 Check out the photos, that is fantastic!